Several months ago, I posed the question “What if chicken fries and mozzarella sticks had a baby?”, and my Mozzarella Stick Chicken Fries were born. The cheese stick chicken fry combination is truly greater than the sum of its parts. Yesterday, Burger King released a special version of their chicken fries that are covered in Cheetos. Oh my goodness! They’ve once again inspired me to take it to the next level. 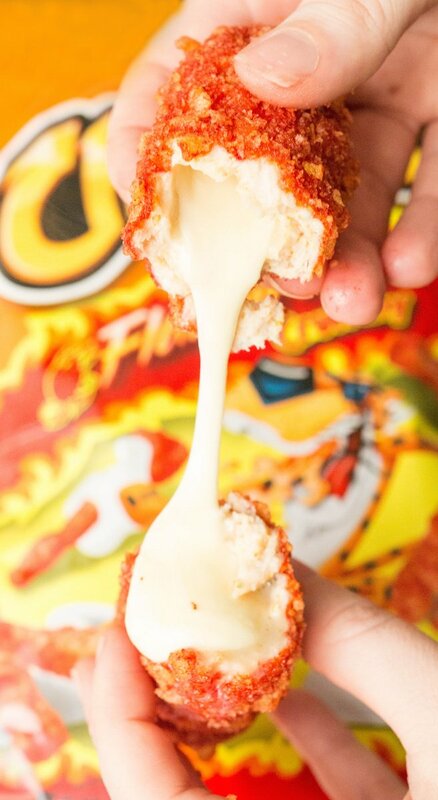 I immediately got to work on these Flamin’ Hot Cheetos Chicken Mozzarella Sticks. The Cheetos gives the crust such an interesting flavor, and an extra crunch that has a really amazing light & crisp texture. The Flamin’ Hot Cheetos flavor does seem to diminish in the fryer, but if you use my chicken seasoning combo you will not be disappointed! I went through several batches to perfect it. Place ground chicken in a small bowl and add all the seasonings. Combine. Place flour, eggs, and crushed Cheetos in separate bowls. 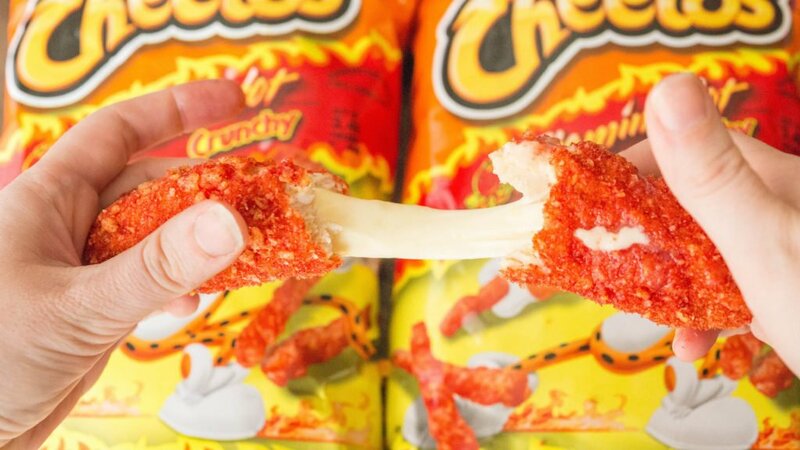 Take each cheese stick and dip in the flour (gently shake off excess), then in the eggs (gently shake off excess), then wrap in the ground chicken, and finally bread with the Flamin’ Hot Cheetos. 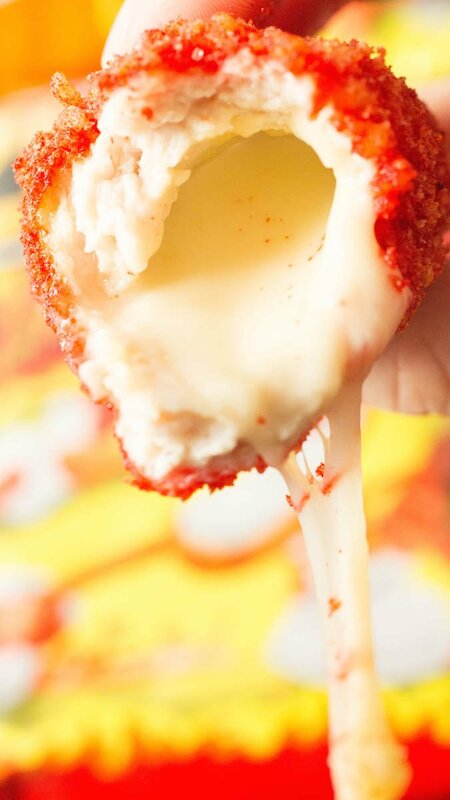 Deep fry the mozzarella sticks for 3 – 4 minutes. Remove from fryer and place on a paper towel lined plate to absorb grease.